hello guys..my name is skip. 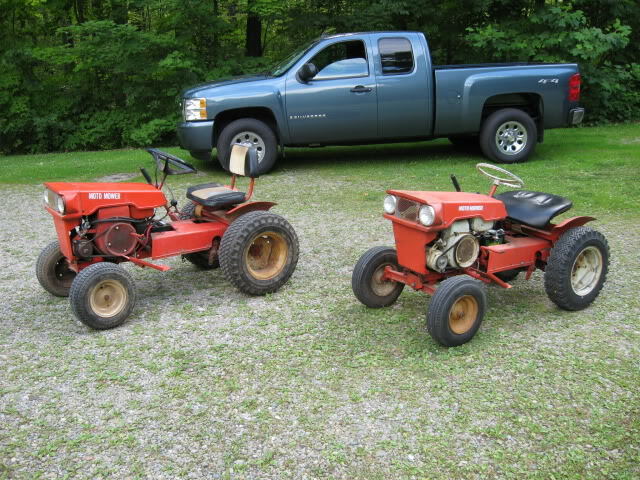 i have just bought a moto mower with mower deck and dozer blade and was looking for info on it and found this kool site. 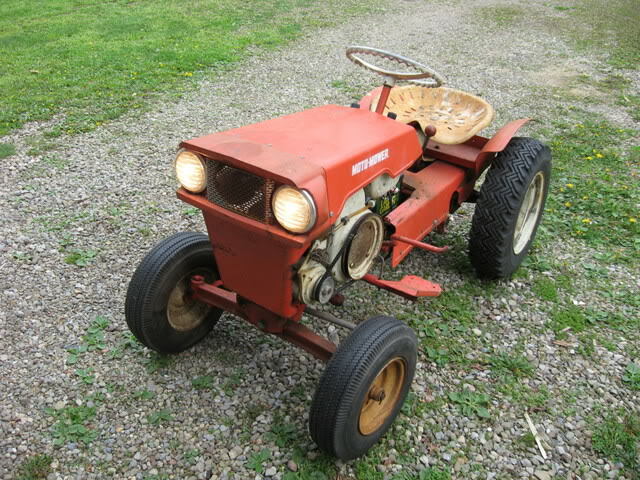 so i joined and am hoping to find some friends with the same intrest in lawn tractors as i have. Welcome to the forum skip. Theirs a few guys with motomowers on here. Welcome aboard skip some real friendly people here sorry I don't have any moto mowers but one of the guys will surely be able to help you out. Don't worry, Evan or Motomow will be on to post sometime, they have working motomowers, I have parts of leftover motomowers LOL. Welcome to the forum. Hi Skip, welcome to the forum. Glad to see someone else who has a Moto-Mower. More and more of these seem to keep turning up. Yours looks like a model 6000 I believe, probably circa 1965 or so. You'll have to get us a few more pics of it. Here's a couple pics of my 6024 and 6025. Also, get that sickle bar mower indoors, it is one of the three I had that seems to work decent, the wobble bearing still wobbles nice and smooth. Do not let that thing get ruined, sitting in the dirt will cause the teeth to rust up and it is a pita to get them all freed up, and that wobble bearing, at least dump some oil on it. Well, I'm still hoping to get it restored sometime. Don't worry, I'll cover it and put it up on blocks for winter. I did take it for a nice joy ride last weekend down the road to one of the neighbor's house, it may smoke some but it is reliable. That's the parts sickle bar you see in the pics there. The good one is still on the tractor, but I'll take it off before winter and put it inside. Oh, I forgot I gave you a parts sickle, now I know why it is off the tractor. thanks Evan....and you are right it is a 6000 but i'm not sure of the year yet. thanks KW and all whom has welcomed me. this place is great!!!!!! Howdy Skip. You have come to the right place for Moto-Mowers and just about everything else. 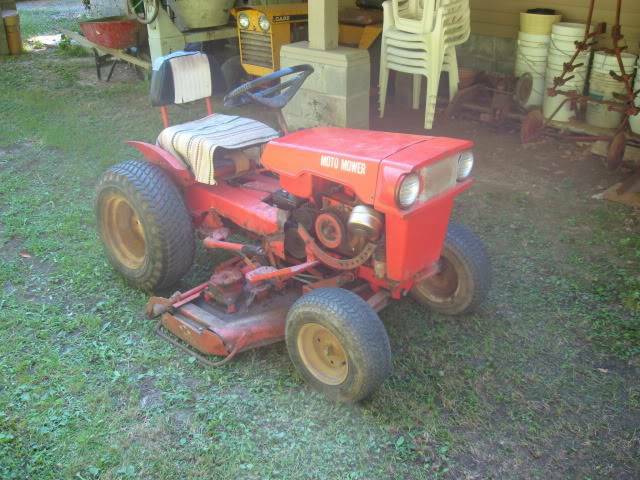 I'm one of the few poor unfortunate ones that aint got a Moto-Mower. Not for a lack of lookin. I think I live outside the Moto-Mower realm. Any way these guy's are alot of help so ask away. Just be careful. One of these guys just got me in trouble with the boss lady cause he turned me on to a diesel for my Cub. YOU KNOW WHO YOU ARE! LOL thanks for the info. i will be sure to watch for that! Only Motomowers I could get my hands on were leftovers from Evan's Motomower repairs, and he's already hitting me up for parts. Skip, I know I told you I thought your tractor was circa 1965 or in my earlier post. Upon closer inspection of my Moto-Mower service manual, it appears that the 6000 started production in 1963. When it ceased production I'm not sure. 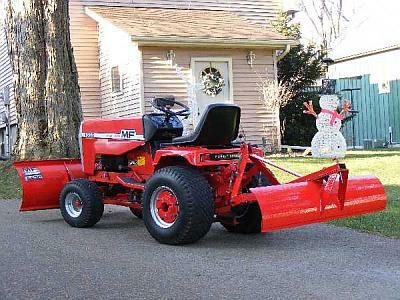 Do you have the serial # of the tractor? Also, do you know if it has the original engine? Evan the serial # is B10925 and the person i bought it from said he had replaced the motor because the orignal was smoking realy bad.